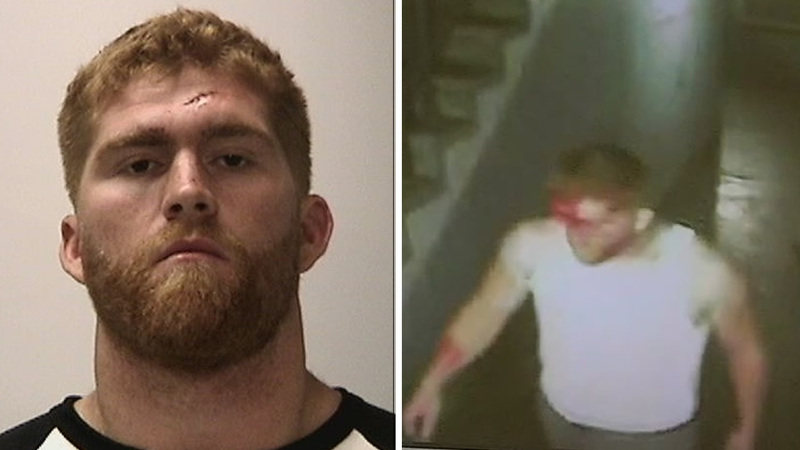 SAN FRANCISCO (KGO) -- The agent for former San Francisco 49ers fullback Bruce Miller tells ABC7 News they are doing an investigation into his assault case. Surveillance video from the Travelodge in San Francisco shows Miller bleeding and staggering moments after he allegedly got into a fight with a 70-year-old and his 29-year-old son across the street at the Marriott. Miller now faces several felonies, including assault and elder abuse. His agent says Miller went to the hospital to get several stitches and tells us there are "two sides to the story." The Niners cut Miller from the team shortly after the arrest was made public.